Salads are really healthy. There are lots of recipes but, any of them are as easy and delicious as the grilled chicken salad recipe. It has the perfect combination, chicken and fresh vegetables. Everybody will enjoy your creation and surely, they will ask you for another portion. Try to make a grilled chicken salad at home. It is very simple and it will take you just a few minutes. You will not regret it. This recipe is a classic recipe you cannot ignore. This salad contains lots of nutrients and carbs. For that reason, it is considered a complete meal. 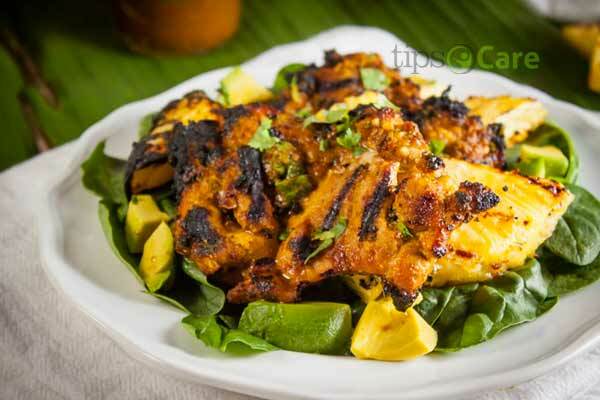 Grilled chicken salad recipe is simply delicious and it can be the perfect complement. Just think about fresh vegetables, perfect juicy grilled chicken, and oil or vinegar dressing as a special touch. Make it for a summer day, you will not regret it. 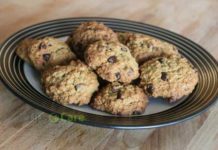 Here are some other recipes you may try out here. How to make coffee without a coffee maker. 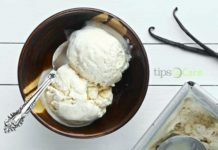 If you want you can enjoy our Almond milk ice cream recipe. There are early American chicken salads recipes that can be found in 19th-century Southern cookbooks. In Southern areas of America is very common to cook chicken combine with corn. One of the most important and known dishes of this area is fried chicken accompanied with corn. There are many books that explain lots of recipes that include chicken and vegetables together. In these books, authors sustain that chicken can be substituted for another cold meat as seafood. For example, shrimps, salmon, pork, beef kabobs and other cold meats. It does not matter what kind of meat you include in your salad, it surely will result delicious. There are many American forms of chicken salad. There is one that is made Rhode Island that is considered one of the first chicken salads, and it became a popular item that the meat market turned into a delicatessen. However, many people sustain that grilled chicken salad has Arabic origins as well. It does not matter the origin of this wonderful dish. Cooking grilled chicken salad is very easy. It will take you just a few minutes and the people around you will be thankful. 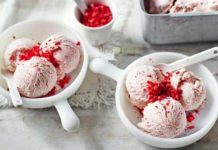 Whether if you want to share with some friends a summer day at home or just spent special time with your family a weekend, this recipe is for you. It is perfect while a barbecue because the major quantity of ingredients is there, available to be mixed. If you are looking for fresh and light meals, you can stop looking for them because here is the answer. Salads are simply the perfect choice. The Grilled chicken salad is happiness in a bowl. It is colorful and full of delicious smell and flavor. Chicken is the main ingredient here. It could be complemented by adding corn, tomatoes, onion, lettuce and any other ingredient that pop up from your imagination. Take notes and include your family in the process. Children are usually very creative. Take them into account and listen to their opinions. They could fall in love with salads at the end of the day. You will need just a few basic ingredients. However, you can add any extra ingredient to make it special. There are no limits, salads are simply delicious. It will be perfect if it is juicy and flavorful. It has to be marinated and cooked on the grill. When it is done and it had time to rest, you have to slice the chicken breast thinly and put it on the top of the salad. The secret is to wait some minutes before slicing the breast because it prevents the juices not to escape. • Grilled corn on the cob. Take garlic butter and brush the corn with it, then place on grill. Cook for 10 to 15 minutes and turn it as much as you need because it is important that all sides get cooked. It is recommended to cook the corn before the chicken. However, corn can be cooked while the chicken is been cooked. Cut the kernels and put them in the salad. Lettuce, tomatoes, onion, avocado… everything can be used. It is better if you use cherry tomatoes and red onion. These are the classic ingredients of this salad. Avocado is a delicious plus that you can add or skip. Remember you can add the vegetable, fruit or cheese of your choice. These are important ingredients in any salad. Adding simple oil and vinegar is the magic touch for your salad with the corn and the grilled chicken. For that reason, you do not need a powerful dressing. Make it simple. Combine vinegar, oil, salt, pepper, garlic and seasoning this mixture all you need. Of course, any dressing can be used. You decide what kind of flavor should be added to the salad. Balance is the key. • Simple slice or chop chicken breast. Try to slice or chop them with the same size, It will look better. Cut grilled corn kernels off the cob. If you do not have fresh corn on the cob that could be grilled, use canned or frozen corn and put the corn with the rest of the salad ingredients. • Take the Romaine lettuce and toss it. Slice tomatoes in a half, chop the onion and cut the avocado in little pieces. • Put all the ingredients in a bowl. • For dressing: you can take a small cup and fill it with whisk oil, vinegar, pepper, salt, garlic, and the seasoning prefer. You can use Italian seasoning or dried oregano if you want an original result. • Pour dressing over the salad. You can also cook a gourmet salad at home from this easy recipe. Grilled chicken salad recipe is very easy to prepare and its flavor is incredible. If you add some spicy tomato and fried tortillas, you will get Mexican Grilled Chicken salad. It is a fresh and delicious recipe. Everybody will surely love it!